They make it appear out of an infinitely dense soup of primordial matter, which expands into a bridge shape. Nobody has seen this happen though unfortunately. 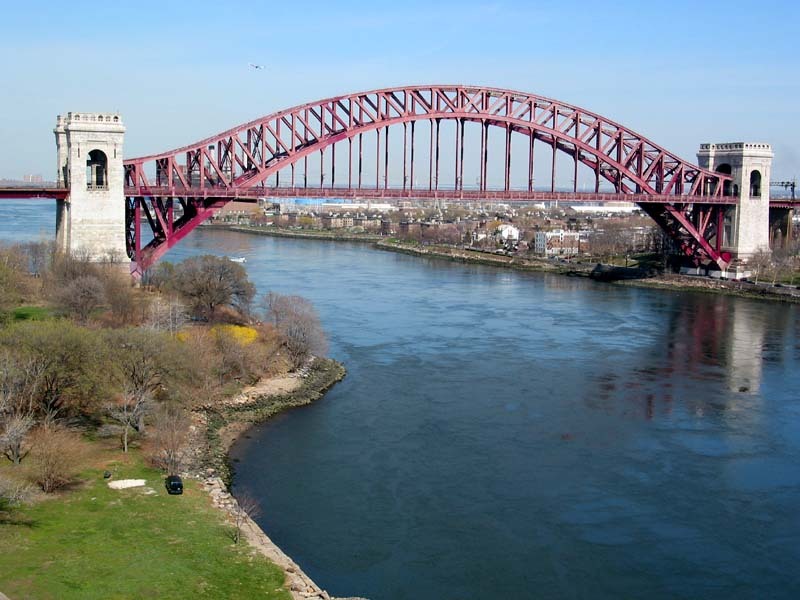 We are suppose to believe it because during the day the bridge expands, meaning if we reverse calculate the expansion rate, we can figure out how old the bridge is, and prove that it started out as an infinitely dense soup of primordial matter. Does this reasoning sound familiar? It should. It is the exact same argument of Big Bang Creationism. Modern cosmologists think they are studying "big ticket" items, but they aren't. Their heads are in la-la land. String theory, multiverses, big bang creationism, accelerated expansion of the universe (expanding into what, out of what mind you? ), etc. If they were pragmatic, they would understand that the Earth is a "big ticket" item. They ignore the very ground they walk on. This is why I do not get along with them. They are not of the Earth, they are airy, ephemeral loons who's pop sci propaganda will be forgotten as soon as its thought up. They are not the torch bearers of human understanding. They think the greatest understanding is in the sky, but it is not. The greatest understanding is right below their feet. After all, the Earth is in the sky to someone in another star system. Stony meteorites are comprised of mostly pyroxenes, olivine and Fe-Ni composites. These are the materials which comprise the majority of the Earth inner/outer mantles. I need to read up more on this person. So much to learn, so little time. This is the important stuff, not the pseudoscientific garbage General Relativity. If the commenter does not provide any reasonable solution to the issues that I have raised or does not contribute with the idea of helping, then I will from now on delete the comment. I do not have time for silly internet games. I think the rule for such games is zero tolerance, I have wasted enough time dealing with them. 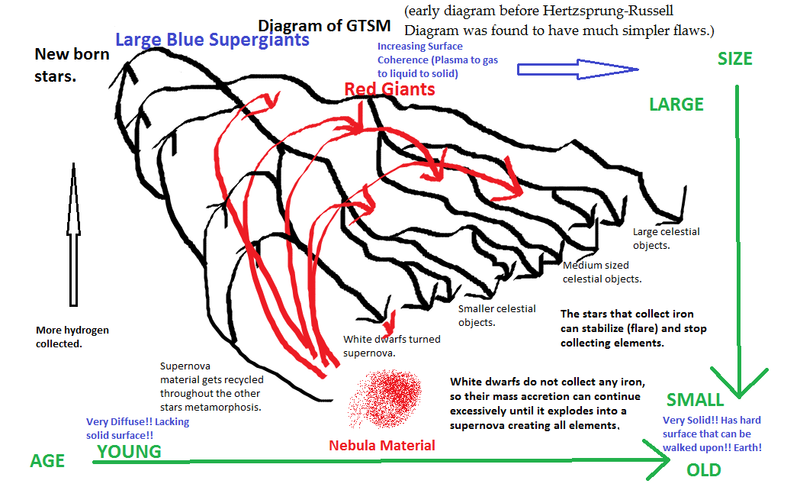 It is common knowledge that mainstream cosmology and astrophysics thinks stars are fusion reactors, thus their ideas and understanding of the stars is a dead end. What needs to happen is we need to apply reaction rates to the chemicals by reverse engineering the Earth, and even the high atmospheres of exoplanets (evolving stars). The nature of the reaction: Some reactions are naturally faster than others. The number of reacting species, their physical state (the particles that form solids move much more slowly than those of gases or those in solution), the complexity of the reaction and other factors can greatly influence the rate of a reaction. Concentration: Reaction rate increases with concentration, as described by the rate law and explained by collision theory. As reactant concentration increases, the frequency of collision increases. Pressure: The rate of gaseous reactions increases with pressure, which is, in fact, equivalent to an increase in concentration of the gas. The reaction rate increases in the direction where there are fewer moles of gas and decreases in the reverse direction. For condensed-phase reactions, the pressure dependence is weak. Order: The order of the reaction controls how the reactant concentration (or pressure) affects reaction rate. Temperature: Usually conducting a reaction at a higher temperature delivers more energy into the system and increases the reaction rate by causing more collisions between particles, as explained by collision theory. However, the main reason that temperature increases the rate of reaction is that more of the colliding particles will have the necessary activation energy resulting in more successful collisions (when bonds are formed between reactants). The influence of temperature is described by the Arrhenius equation. As a rule of thumb, reaction rates for many reactions double for every 10 degrees Celsius increase in temperature, though the effect of temperature may be very much larger or smaller than this. The Sun adopted the smaller objects as it moved though the galaxy, with their pre-existing satellites. That was easy. Why would I ask a question that is easy to answer? Well, because that is not the question people are REALLY asking when they ask the question, "how did the solar system form?" What they are really wondering is how the objects IN the solar system formed. Well, they are all stages to a single star's evolution. Some are more evolved than others. Some are even broken up parts to ancient stars which give the appearance of being worlds themselves, such as asteroids and small moons. They all have timelines mutually exclusive of each other. The fact that they are in their current arrangement is random. To drive the point home, there are two main philosophies here which people are unaware of. 1. The solar system is a single object. Which do you think is the sound philosophy? What really happens is that all this boils down to basic communication problems. When a scientist says, "solar system" they think "one", or "singular", thus any explanation of the singular system will need a singular process. If they think multiple objects, then they will lean more towards explaining what the objects are doing, absent any notion of them being parts to a larger process. They are not parts to a larger process, the orbits are not processes which formed them, and that is the only thing that relates them. Take the orbits away, and what do you have? Singular stars in distinct stages of evolution. Well, slowly getting to the bottom of understanding Gibbs free energy. It is a simple diagram, but explains so much better than a silly math formula. All it does is point to which direction the spontaneous reaction will happen, given the products and reactants are not in equilibrium (not releasing or gaining heat). This transcript is virtually unknown to big bang believers. I think astronomy went in another direction back in the 1950's, but people wouldn't know this if they did not pay attention or dig into history. It is worth a read, as well it is not something you will ever see in any propagandized science industry where only the Big Bang Creationists get the time and money. Yeah, I was just in Jodrell Bank giving a talk there and Sir Bernard Lovell was there. He was at that Solvay Conference 1957, he reminded me of that situation which I already knew. The situation again, the Solvay Conference is a very top level conference, where in the past they have had Einstein, Planck, Bohr and all these people down through the years. So they’d run it in astronomy down through the years also. They’d invited the top people at the Solvay Conference, also there were Oort, and Lovell and Hoyle, all the top astronomers. And they decided for some reason that they had to get a representative from the Soviet Union and they figured well, they heard about this Ambartsumian. They invited him from the Soviet Union and he came, nobody knew him. He came and gave this paper which nobody understood. What they thought was complete trash and they thought it was so crazy. Bernard Lovell was telling me that they were embarrassed because it was so bad. They didn’t want to be rude to this representative of the Soviet Union, so they didn’t say much but they were really embarrassed by the paper. But then they went on about the important business and this paper was published in the proceedings. That was in 1957. Well, about eight, nine, ten years later it began to appear that the things Ambartsumian had said in his paper, that far from being crazy, were, in fact, quite true and as time goes on his paper got more and more prophetic, more and more far reaching and insightful. When I was with him at the Brighton IAU, the IAU before Australia, six years ago, and I was sitting next to Oort, and Oort said to me, “it turned out that Ambartsumian was right.” And so it was generally concluded, I still don’t think they realized how right he was. I mean, I still, I’m sure, my opinion, contemporary astronomers really have not grasped the extent to which he is right. What was the essence of this paper? Well, he just looked at galaxies on the Palomar Sky Survey. He said, well, galaxies eject other galaxies, free galactic material and they form other galaxies. And you see that the implication of that was to rock the whole foundation of our ideas of where galaxies come from. The whole idea is just the Big Bang, diffuse medium, galaxies condensed, clouds form, that’s how galaxies are formed. Ambartsumian was saying something completely different. He was saying that the material comes from inside of galaxies, goes out and forms other galaxies. 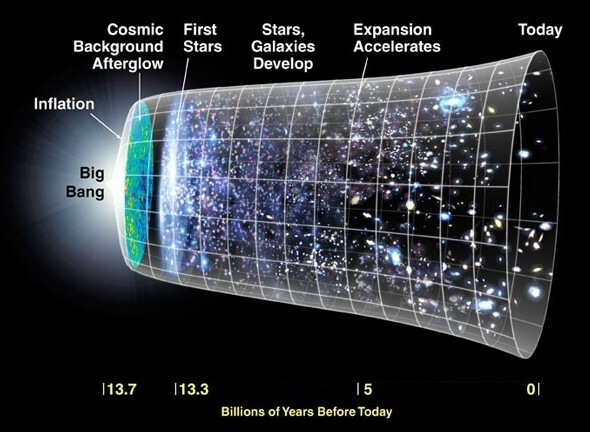 And if you carry forward the implications, if you believe that, then you begin asking yourself questions like, was the Big Bang really like this generally assumed or maybe started out with one body which had successive fragmentation, or maybe the universe is turning itself inside out from inside. You see this way raises really unsettling questions which contemporary astronomers are not prepared or willing to face at all, despite what I think is the beginning of an enormous amount of evidence piling up in this direction. That’s where it is nowadays. 1. Solar disk, nebular hypothesis, accretion model has the solar system objects all roughly the same age with the same isotope abundances. They are related to each other as they all came from the same cloud of dust (these are the facts). 2. Stellar metamorphosis has the solar system as an adopted family, with all the objects likely originating from somewhere else in the galaxy. They are not related to each other. Earth, Mercury, Venus, Jupiter, Saturn, Neptune, Uranus, etc all predate the Sun, and some predate each other! According to the theory of stellar metamorphosis a "Hot Jupiter" is an intermediate aged star which is having it's outer envelops burned away by orbiting a much hotter, younger star very closely. Over time, if the position is held, the "hot Jupiter" will expose its inner structure, the new Earth. There are billions of them, many millions alone in our galaxy. Here is a little picture of 63 orbiting really close to their host stars. "How did a disc of gas and dust become the heavenly bodies we find in the Solar System: planets, moons, and asteroids? Four astronomers have now brought science one step closer to answering this enigma." They will never get close to solving the riddle by assuming the same philosophy. Let us give the public an understanding of the two main philosophies here, the one that causes enigma, the other answers the riddle. 1. A planet is a by-product of star formation. 2. A planet is the by-product of star evolution. One assumes that planets/stars are mutually exclusive as outlined in the article above. The second one assumes that the star is the new planet. Thus, the concept of "planetary evolution" is introduced. 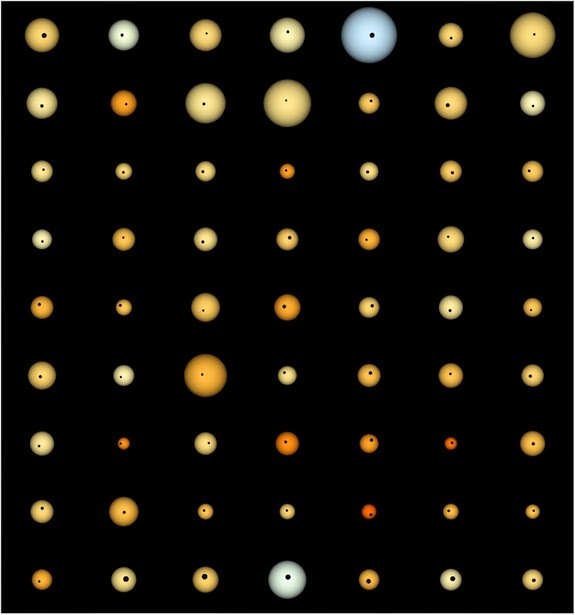 The bright objects in the night sky with spectrums are young/hot planets, or as people call them "stars". To answer the riddle though, a vast array of false knowledge needs to be trashed. This is my greatest strength, I was never conditioned into the big bang, dark matter, nebular hypothesis, fusion star crowd. The star as it evolves and dies forms life. Young hot stars keeps its surface warm. Stars are the life givers and sustainers of the universe. I remember drawing this on MS paint back in 2012. Oh the memories. I do not know if this makes any sense, but there it is. The numbers .001-.4 are the moment of inertia factor numbers. I tried. 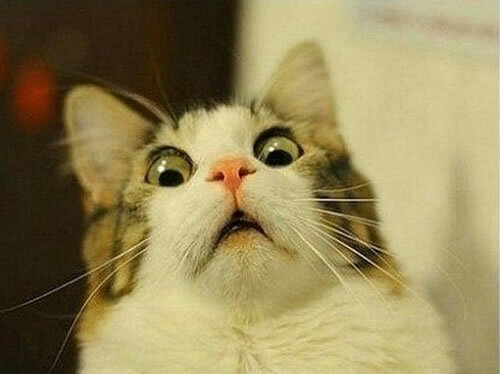 "This is the first time anyone's looked at a hot reaction like this." Well that basically sums up the article. They believe life is formed outside of stars. Negative. Life forms inside the star as it cools and dies, eventually becoming a life hosting star called by astronomers, "planet". Life is a by-product of stellar evolution itself. They would know this if they kept up to date with current evolutionary models of stars, but nope. They prefer keeping safe in their Ivory Towers. Well, do all stars have spectrums? No. The vast majority of stars in an evolved galaxy like our own do not have spectrums. They stopped shining from their own light billions of years ago. Not only that, but astronomers call them "planets/exoplanets", which just exacerbates the problem. Gases, liquids and solids do not undergo recombination, they are already at lower enthalpies. 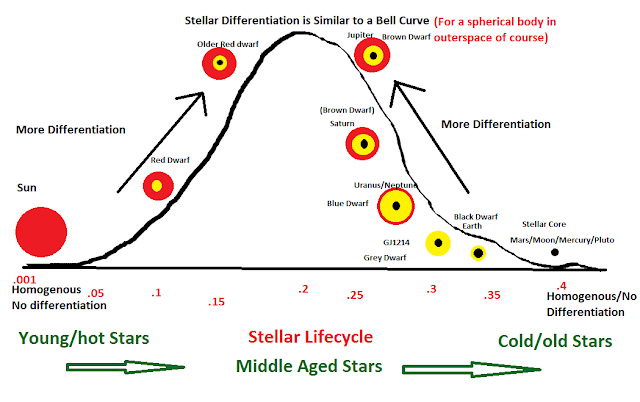 This means the older/dead stars do not have spectrums. A star is a spherical structure formed directly as a result of galaxy birth, they can be plasma, liquid, solid or gaseous material depending on how evolved they are. "occurs through the tidal friction processes: orbital and rotational energy are dissipated as heat in either the surface ocean or interior of a planet or satellite"
If this were true Mercury would have more volcanoes and geological activity than Earth, yet guess which object is hotter and has active volcanic activity? Earth. The tidal heating hypothesis is ad hoc to try and explain away Io's activity. Think about this people. Earth has ENORMOUS amounts volcanic activity, yet is vastly further from the Sun than Mercury, but Mercury has NO VOLCANIC ACTIVITY. Someone needs to tell these scientists that the tidal heating stuff has got to go. It is clearly false. Io is hot because it is dissipating the energy from a past collision event. The crust is still re-adjusting and re-rounding itself via gravity from when it was shredded from a larger object, clearly many millions of years in the past before Jupiter adopted it. "Plate tectonics – the reigning paradigm in the earth sciences – faces some very severe and apparently fatal problems. Far from being a simple, elegant, all-embracing global theory, it is confronted with a multitude of observational anomalies, and has had to be patched up with a complex variety of ad-hoc modifications and auxiliary hypotheses. The existence of deep continental roots and the absence of a continuous, global asthenosphere to "lubricate" plate motions, have rendered the classical model of plate movements untenable. There is no consensus on the thickness of the "plates" and no certainty as to the forces responsible for their supposed movement. The hypotheses of large-scale continental movements, seafloor spreading and subduction, and the relative youth of the oceanic crust are contradicted by a substantial volume of data. Evidence for significant amounts of submerged continental crust in the present-day oceans provides another major challenge to plate tectonics. The fundamental principles of plate tectonics therefore require critical reexamination, revision, or rejection." I have serious beef with plate tectonics as well for the exact same reasons. 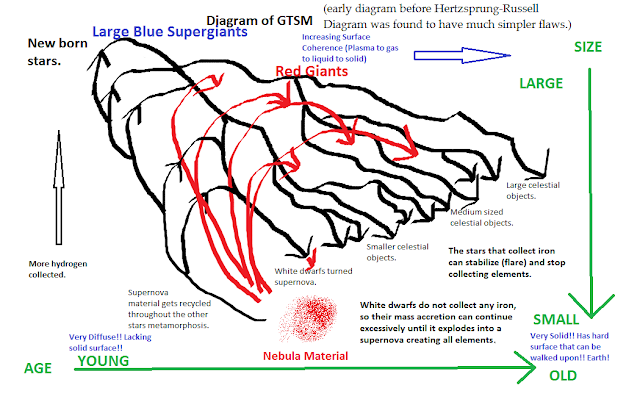 The features of the Earth can be explained better if the philosopher includes earlier stages of evolution, this is the whole purpose of stellar metamorphosis. Many geology textbooks contain colourful pictures of uniformly thin (~150 km) plates moving over a continuous, global asthenosphere. Such pictures are far removed from reality. After reviewing evidence for 400-km-thick roots beneath stable cratons, Lerner-Lam (1988) concluded: "Evidently, the earth has flunked the seismological test of the thin-plate theory" (p. 51-53). He might equally well have said that plate tectonics has flunked the seismological test. Roots. The plate has deep roots, this means they don't move. Like trees, your teeth and people who don't like to skip town, roots kind of stand in the way of motion. Also it means that in 1988 plate tectonics kicked the bucket (died) and morphed into a zombie theory, as it is STILL to this day taught as being "correct". Twenty-seven years has passed, it died when I was a 3 year old trying to figure out how to draw on the walls of the condo with crayons without my brother finding out. The crank is at it again! haha! 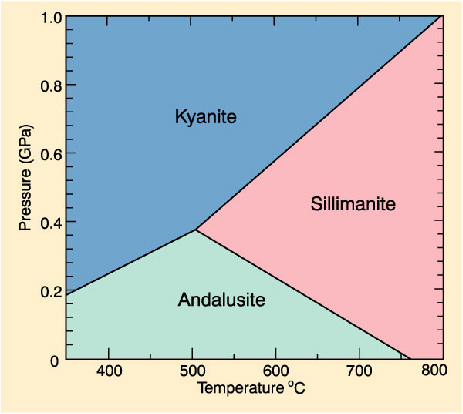 This is a phase diagram with temperature/pressure alone to determine which mineral the Al2SiO5 will solidify into given the right temp/pressure. During very late stages of star evolution, the aluminum, silicon and oxygen form bonds with each other in large quantities forming these three types of minerals. 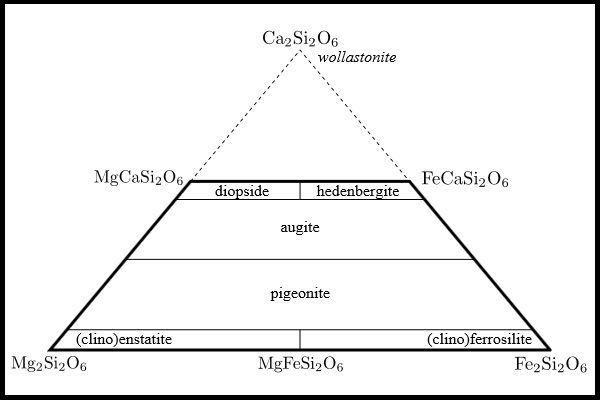 Nailing down which elements bonded with which first is the key, because then we can determine where in the atmosphere they probably formed before becoming their solid form. As well, regardless of how "cranky" it may sound to modern geologists, this phase diagram literally means that if we find these minerals on the surface of the Earth (where you can pick them up with your hands), it means that at one point that area was around ~800 degrees C.
It also means that the atmosphere was much thicker because 1 GPa is ~9,800 atmospheres, and that's right on the surface ladies and gents. This is direct evidence for Earth's atmosphere having been vastly thicker, or the interior of a gas giant star. They should call it the, "here's your retirement money now get the hell out of the way" prize. The Goldich dissolution series is a way of predicting the relative stability or weathering rate of various minerals on the Earth's surface. When this was invented, they did not know the surface was much different during gas giant phases of the Earth's evolution. It was under much higher pressure, the chemicals were different, and the very act of weathering was much, much more reliant on hydraulics rather than low pressure/oxidative properties of rain water coupled with mild acid.